Ugh. 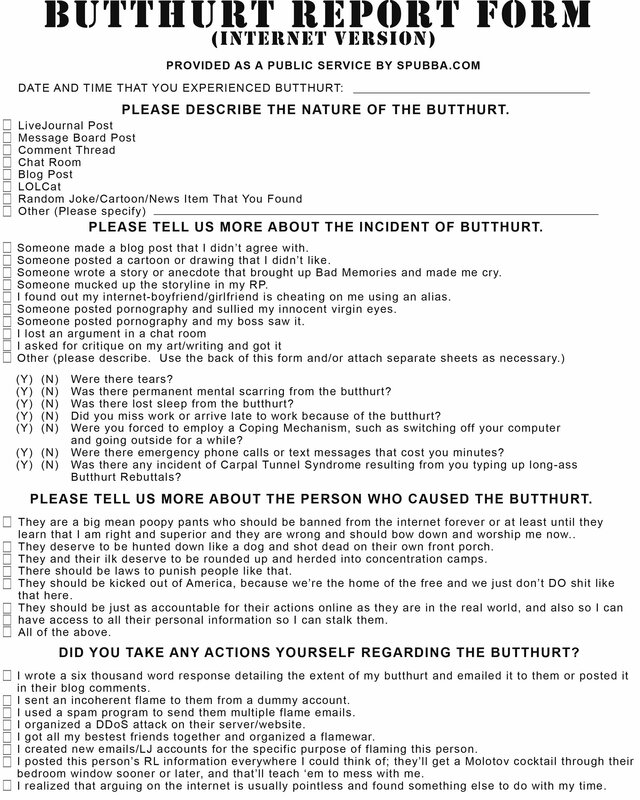 I know I’ve ranted about this before, and I’ll likely do it again. Being tidy and deriving enjoyment out of deep cleaning or organizing is not “OCD”. Having unpredictable mood swings is not “bipolar” (unless these “mood swings” cause you to engage in harmful behavior or rob your ability to function). Being in mourning after a loved one dies or one learns of a terminal illness isn’t the same as Major Depressive Disorder. And really, really wishing you had seven imaginary friends, including your first D&D character and someone from Harry Potter, doesn’t give you Dissociative Identity Disorder. What separates people who experience average emotional peaks and valleys and those who are mentally ill is the ability to function through, or in spite of, these emotional states. Secretly, I’m not 100% sold on the idea that mental illness necessarily have a neurologically centered chemical imbalance, but I do think that some medications can be helpful. However, no amount of medicine can cure you from what is honestly “being a human being with emotions”. But please, for me, stop using these diagnoses as adjectives. 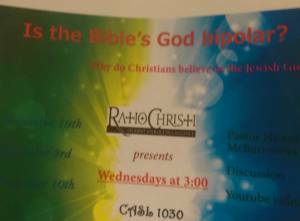 Pictured above is a flyer that reads, “IS THE BIBLE’S GOD BIPOLAR?” in a large font. It includes the name of an organization, “Ratio Christi,” in a stylized text below. It’s been said before, and it should be common knowledge by now, but apparently it isn’t. So here’s a fun fact: Mental illnesses are not adjectives. I’m angry. I’m angry because this isn’t the first time I’ve seen “bipolar” used in such a frivolous, insensitive way, and I’m sure it won’t be the last.